Thanks to Dima Holmes of Wintergreen Real Estate Company’s mountain office for sending us this photo. 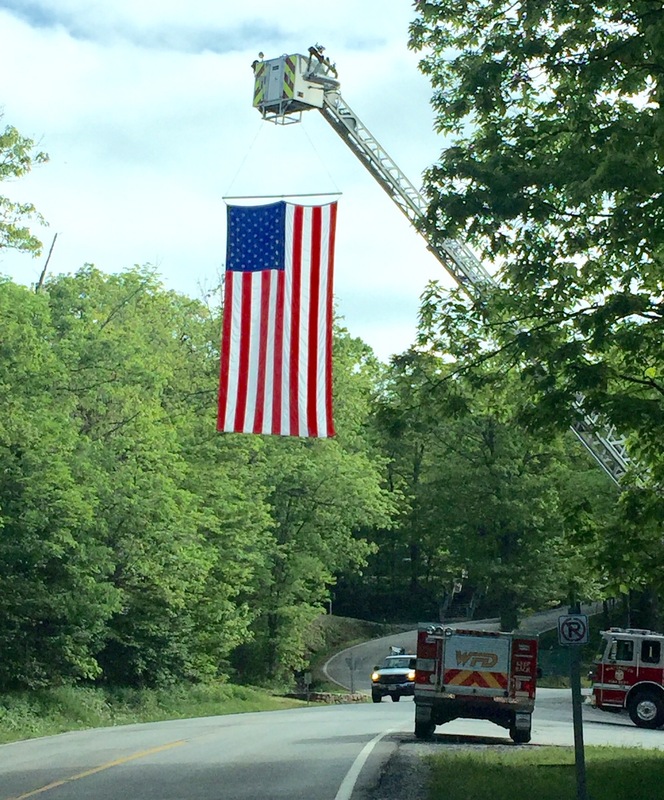 The crew at Wintergreen Fire and Rescue (station 1 on the mountain) are remembering this Memorial Day with a huge display of the American flag in front of the station. We thank WFD for remembering those who have and are serving now. And we thank all who have served and continue daily.